To protect your Land Cruiser side panels and paint as well as add a little style to your Toyota get these great Body Side Moldings. 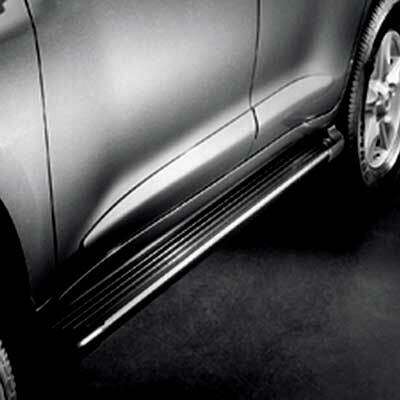 Add a custom look to your Toyota while protecting your panels and paint with these Land Cruiser Body Side Moldings. You can rest assured that Toyota uses only the best materials for added durability and long product life. These high quality Toyota Land Cruiser Body Side Moldings attach by means of an adhesive backing so there is no drilling or fabrication required.